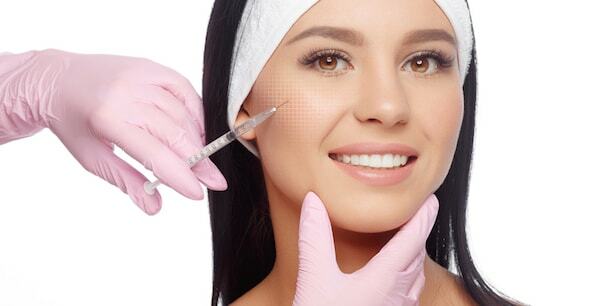 According to a report released by Allergan, it is projected that the worldwide medical aesthetic market for treatments such as Botox and dermal fillers will be worth $26.53-billion dollars by the year 2024. 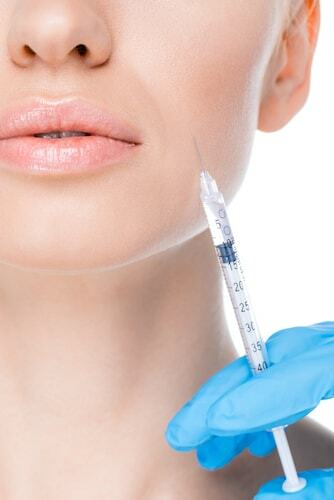 The report also noted that the demand for facial injectables has been on the rise. The study said 82% of United States consumers, ages 21-35, use Instagram as their biggest source for information about aesthetic treatments. Even with the growing popularity of injectable treatments, many patients are still unsure about the different injectable treatments available to them and how they work. The USHR Spa team is here to clear up any questions patients have about undergoing an injectable treatment. The first type is neuromodulators that are used to weaken and/or paralyze the muscles in the face of the patient. The most commonly used neuromodulator is Botox but there are other options including Dysport and Xeomin. Patients enjoy this treatment for the relative ease of the procedure and the fact that the results are easily visible to others. The final results include the reduction or elimination of frown lines as well as wrinkles on the forehead and around the eyes. The second type of injectables used by patients is dermal fillers. They are injected under the skin to add volume to areas that have lost it due to the aging process. In addition, dermal fillers smooth the appearance of wrinkles on the face and forehead as well as around the eyes. Some of the most commonly used dermal fillers contain hyaluronic acid (which is a substance that is naturally found in the human body) and they include Restylane, Juvederm and Belotero. Dermal fillers that do not have hyaluronic acid feature different substance consistencies and they include Sculptra (poly-L-lactic acid) and Radiesse (calcium hydroxyapatite). The last time of injectable is Kybella which is a deoxycholic acid that dissolves small quantities of fat. Kybella is currently approved for use beneath the chin of patients. When patients decide to have dermal fillers placed in the body, the price will vary by the type of filler used, the amount of filler that is injected, any fees charged by the doctor or the facility and the area of the country where the treatment is performed. In order to determine the total cost of having dermal fillers, patients should schedule a consultation appointment with their doctor of choice. There are some general costs of dermal fillers that can guide patients in the decision making process. The average cost of hyaluronic-acid-based fillers is $400-$500 while fillers that are not hyaluronic-acid-based cost anywhere from $650-$2000. The average cost of a Kybella treatment is $1200-$1800. The average cost of Botox is in the range of $300-$1000. Doctors do warn patients against having injectables placed by doctors that are not board-certified or not properly trained or experienced in performing injectables. In addition, there are people who claim to be doctors but they actually have no medical training and the products they claim are Botox and fillers are not actually those products. Board-certified dermatologists and plastic surgeons are the only providers that are fully trained to administer injectables. Before making the final decision to undergo an injectables treatment, patients should ask their medical provider about their medical training and experience in performing the desired treatment. During the consultation appointment with the medical professional, patients should make sure they are on the same page as the doctor when it comes to the final results. It is important that doctor set realistic expectations for the patient so the person will be not be surprised or disappointed with their appearance after the injectable treatment. It is also important that the medical professional is careful to not inject too much of the desired injectable into the patient as the results can look unnatural, overly enhanced or out of proportion with the rest of the body. When it comes to Botox, dermal fillers and Kybella, patients can expect to experience some mild bruising and swelling or even some slight bumps under the skin (with dermal fillers). All of these conditions should disappear within a week or two. Patients should be aware there is a risk of the material being injected into a blood vessel which can result in blindness. This risk is most associated with filler placed in the frown lines and nose. Another serious complication is the skin immediately turning white and then gradually becoming a dark bruise that is also a deep bruise. This means that part of the blood supply has been cut off and patients should treat this condition as a medical emergency. Patients can also suffer an allergic reaction that can range from mild to severe. This can lead to patients having trouble swallowing or breathing but this is a rare occurrence. For additional information about having injectables placed in the body, check out this overview about injectable treatments. In addition, patients should contact a board-certified doctor to ask any additional questions and to schedule a consultation appointment.